Why do we live in Colorado? Ask most people, and "the outdoors" will surely be near the top of their list. 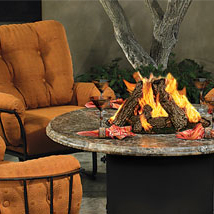 Western Outdoor Living is Colorado Springs' source for the finest patio furniture, fire pits and accessories to help you create and enjoy your own private outdoors—your back yard. 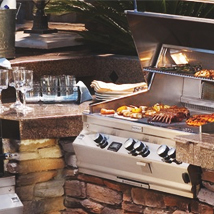 We offer the finest in outdoor furniture, fire pits, premium barbecue grills, even complete outdoor kitchens to help you make the most of Colorado's delightful summers. Everything we sell is of the utmost in quality, from the nation's most respected manufacturers. Sure, you can go to the discount store and buy a patio set or grill for less. There are reasons they sell for less. 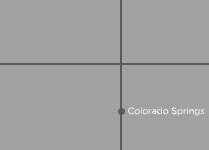 If you're lucky, you might get a couple of seasons out of it before Colorado's sun, wind, rain and snow reduce it to junk. Then you can buy another one, and repeat the process over and over, until you've spent thousands of dollars on "bargain" products. Or, you can buy the highest quality, most elegant, well-built furniture or grills on the market from us. You'll only need to buy them once, instead of every year or two. In return you'll have years of outstanding service, durability, and comfort. That is the greatest bargain of all. 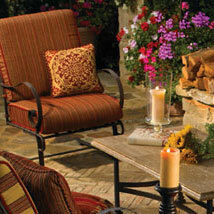 We invite you to visit our extensive showroom, and see everything new and exciting in the world of fine patio products. Your outdoor paradise awaits you. "We've never had any trouble with you or your products. Any adjustments needed on installations are taken care of immediately." "You have always done a good job for us and we can always count on you." Western Fireplace Supply. Copyright 2019 Western Fireplace. All Rights Reserved.